If you have been a long time Cricut fan you know the paper crafting expert herself, Anna Griffin! We are so excited to announce that Anna Griffin will be at the Cricut Mountain Make-A-Thon! We cannot wait to host her on our main stage for the Tuesday Morning General Session! She will be answering all of your questions in a live Q&A, give you a few amazing tips and tricks on her favorite crafting secrets, and hear her latest holiday trend forecast. Not only do you get to hear from Anna on stage, but she will be teaching two classes as well. Her scoring tricks are always awe-inspiring, and she will be walking you through a hands-on project. If you’ve dreamed of meeting Anna and making projects with her – and learning her favorite Cricut crafting moments too! – don’t wait to pick up your ticket to the Cricut Mountain Make-A-Thon. Have you gotten your tickets? If not, be sure to grab them here so you can meet and craft with Anna and all of us here at Cricut. Now, we want you all to get to know Anna a little better. We asked Anna a few questions about crafting and where she gets her inspiration! 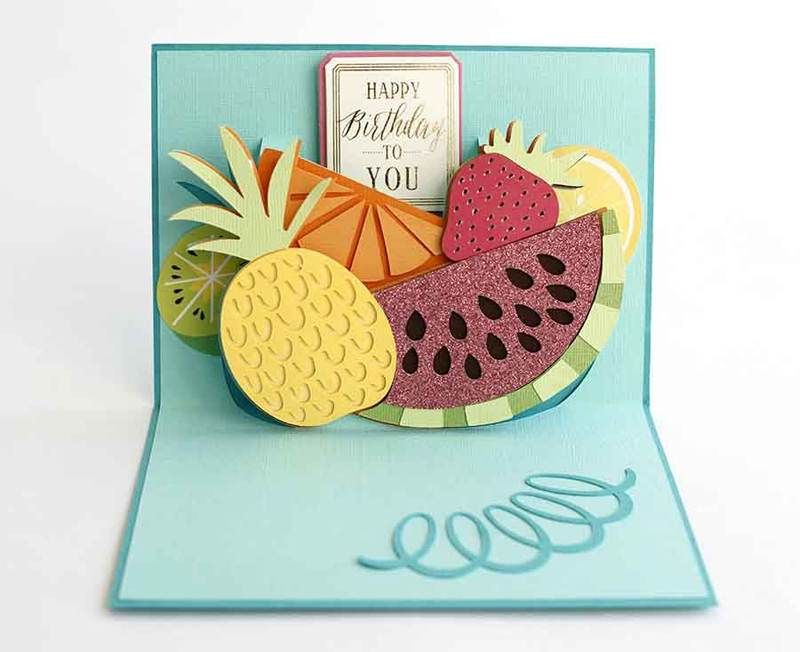 One thing Anna is known for is her amazing card creations and how she adds layers to all her projects so beautifully! We love this project for the warmer months - there is something so fresh and fun about it! You can make your own here. 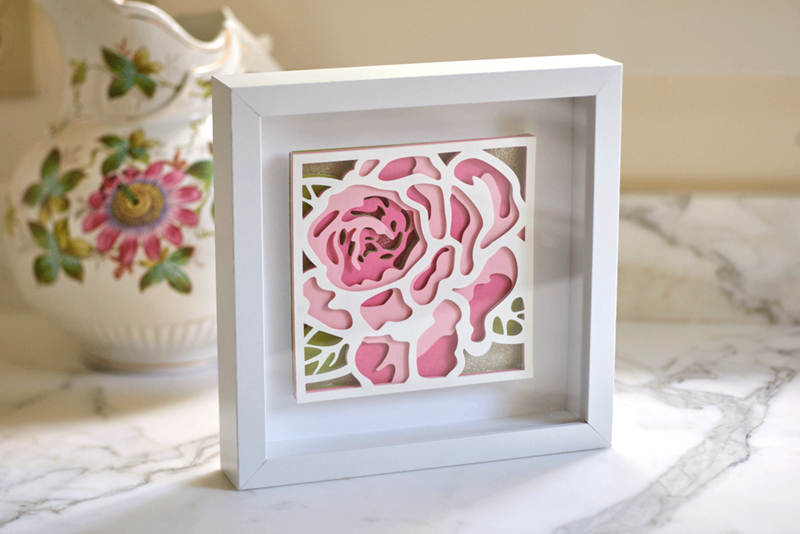 Another project we love from Anna is this beautiful rose framed art! The layers have us drooling! You can make this project here. For over two decades, Anna Griffin has remained a recognized authority when it comes to translating exquisite patterns evocative of old world style into modern, mix-and-match designs. Griffin launched her eponymous company in 1994 by creating one-of-a-kind, handmade wedding invitations. This was followed by an industry-changing line of “imprintable” invitations with a custom look. 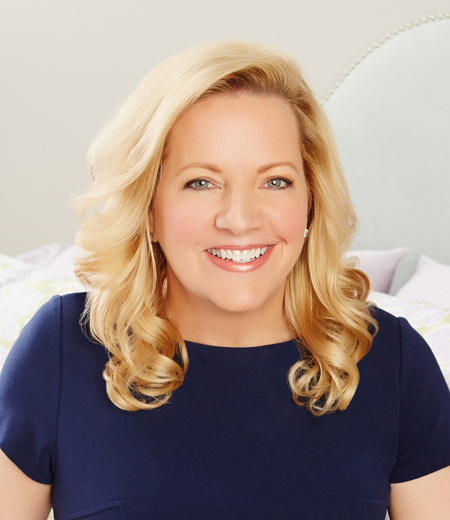 The rapid expansion into paper product categories like stationery, gifts, crafts, and fabrics has inspired her company’s success and remarkable growth. Since 2012, the designer’s vast archive of beautiful designs has allowed the company to seamlessly introduce thousands of licensed designs for Cricut. A household name among crafters, quilters, and TV shoppers, the Anna Griffin brand is synonymous with intricate patterns and high-quality products. Her love of antiques, textiles, and prints combined with an “old made new” design philosophy remains constant – it is all beautiful in the making. We love all things that Anna creates and we can't wait to learn from her at the Mountain Make-A-Thon. If you haven’t gotten your tickets and you want to learn from Anna get your tickets here.